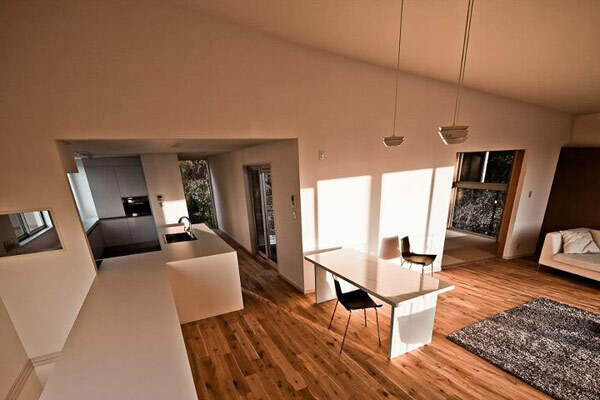 Very often perceptions are typecast and along with it design also tends to fall in a certain comfort zone with everyone wanting the exact same thing. 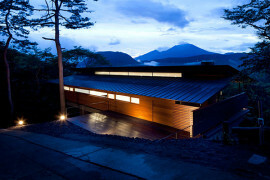 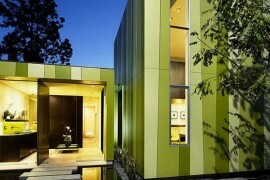 When it comes to the design of a home most of us tend to think about the squares and rectangles. 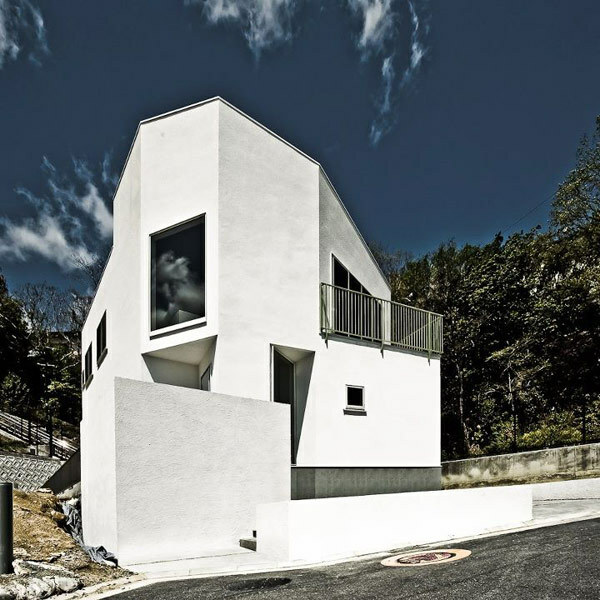 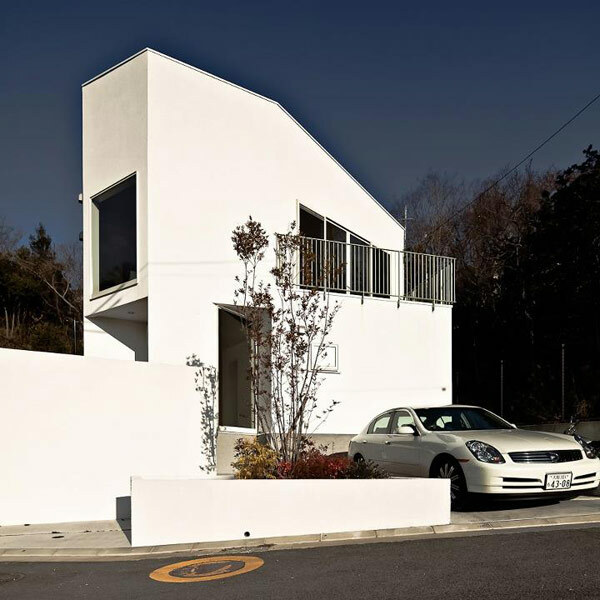 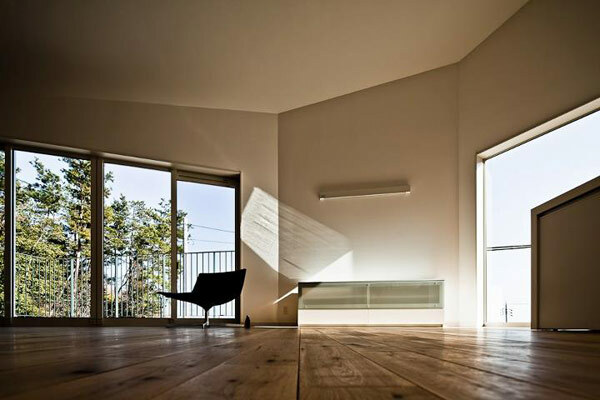 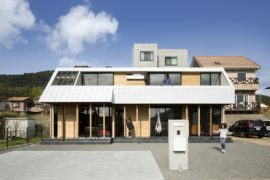 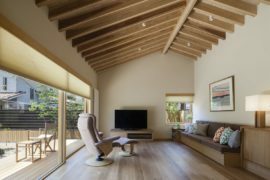 But architect Antonino Cardillo has gone in a completely different direction by creating a home in Hyōgo, overlooking Ōsaka bay, Japan that takes the shape of an irregular polygon. 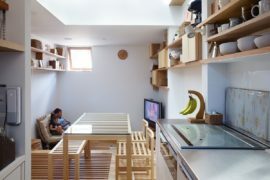 While we are not sure if it was space constraints that led to the design or just the zest to try out a new form factor, the end result seems pretty cool indeed. 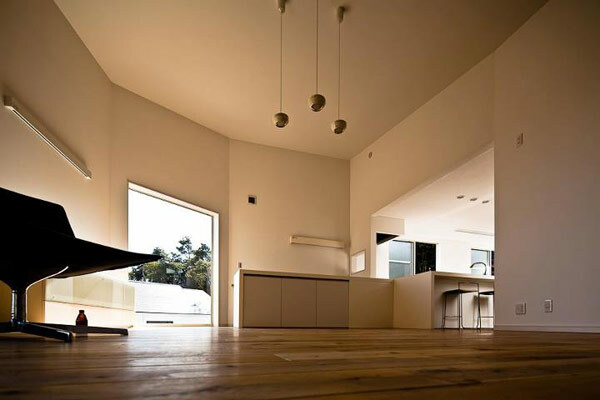 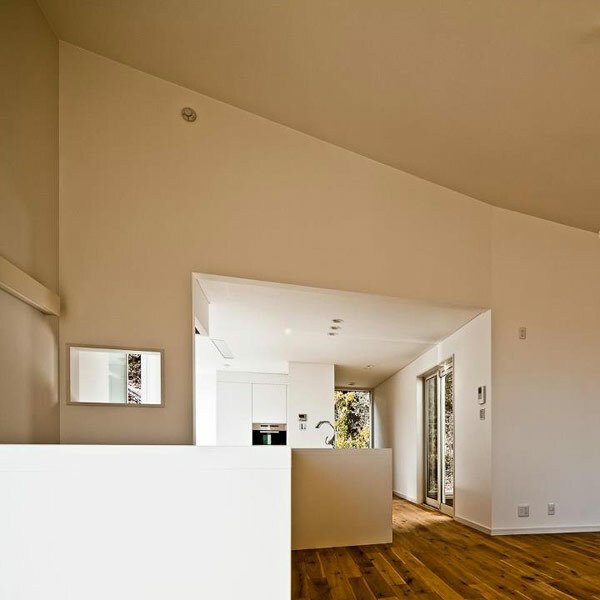 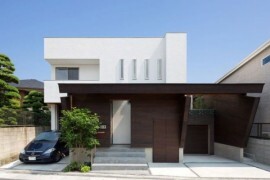 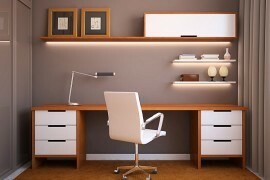 The minimalist home, as the name suggests, still adheres to the idea of sleek and well-defined lines, but it does so in a unique fashion. 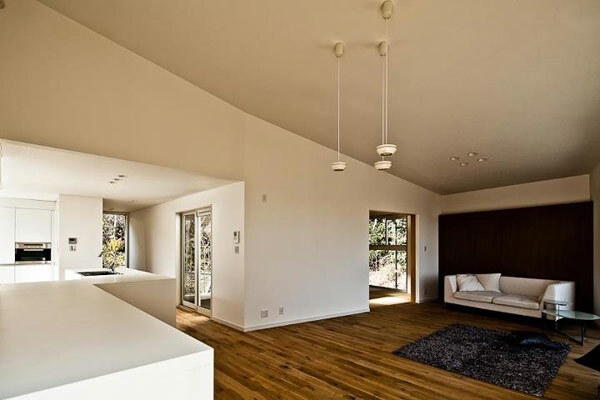 The central hall of the home is a seven-sided polygon and the perfect use of white concrete, ambient shades, wooden flooring and glass windows that allow for plenty of natural ventilation, have made the home as aesthetic to look at as any other modern home. 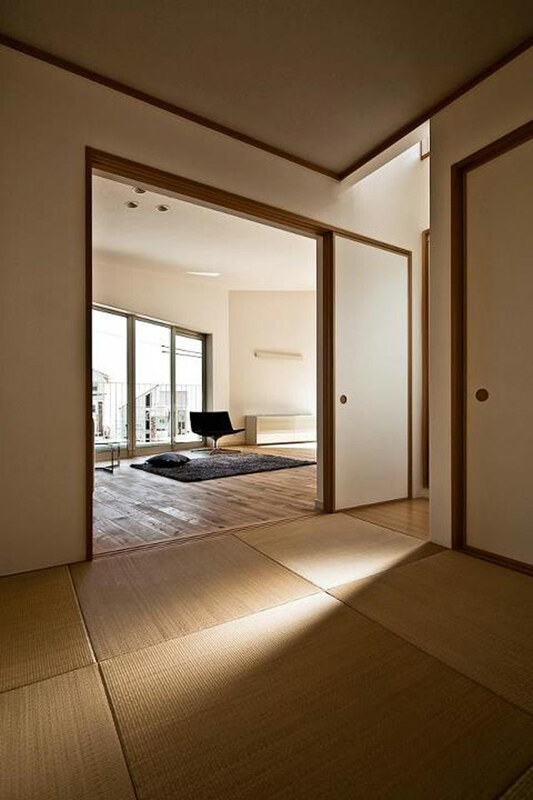 The idea here is to try and incorporate traditional Japanese architecture and natural lighting principles along with modern minimalism to create a truly one-of-a-kind structure. 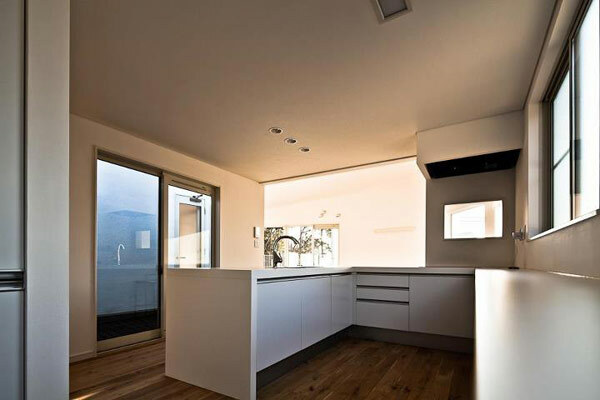 And we can confidently say that Antonino Cardillo has succeeded at that. 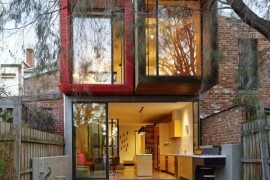 Modern Melbourne House With A Japanese Maple At Its Heart!